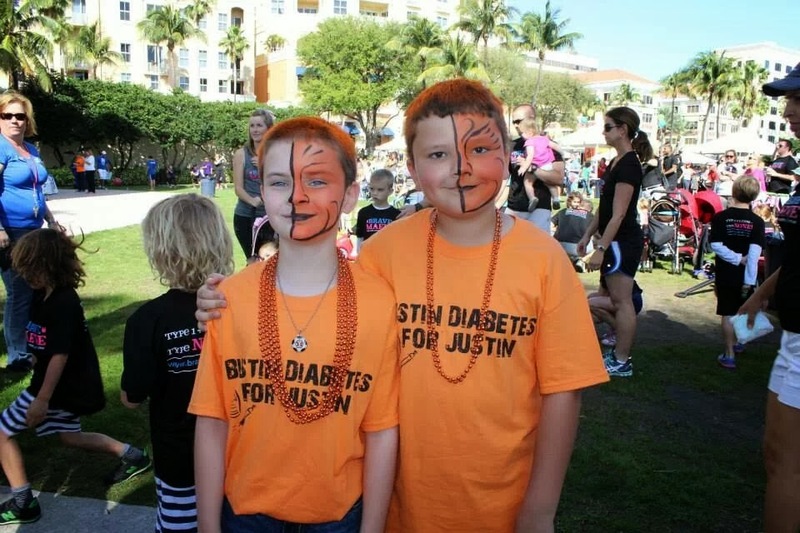 Bustin' Diabetes for Justin: Busy Busy! We have been super busy the last couple of weekends! 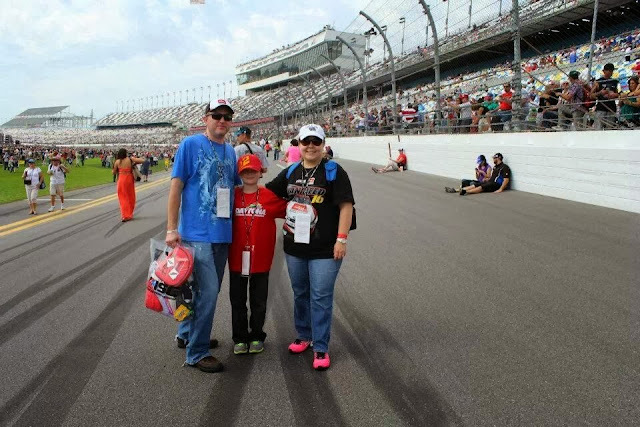 We went to Daytona for both the Nationwide and Sprint cup races. We had an amazing time, we got to be there to suport Ryan Reed in the Drive to Stop Diabetes #16! Justin loves the races and were so happy we can enjoy it as a family :) I have good memories of going to the races when I was younger, and I couldnt wait till Justin was old enough to enjoy it! If you've been to Daytona International Speedway you know its lots & lots of walking! 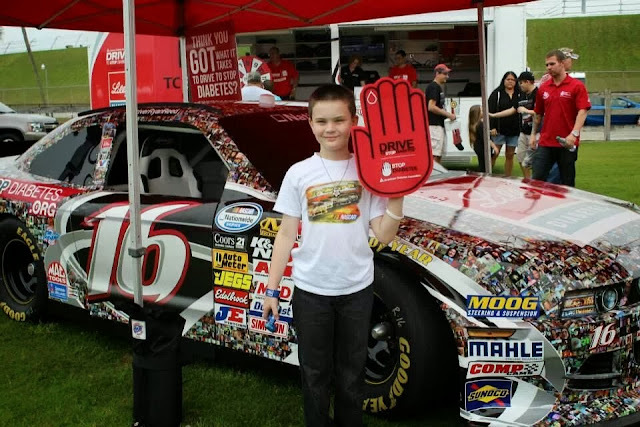 Overall diabetes behaved, he had 1 stubborn low of course it happened to be while we were at the drive to stop diabetes tent......but took care of it and continued on having fun. 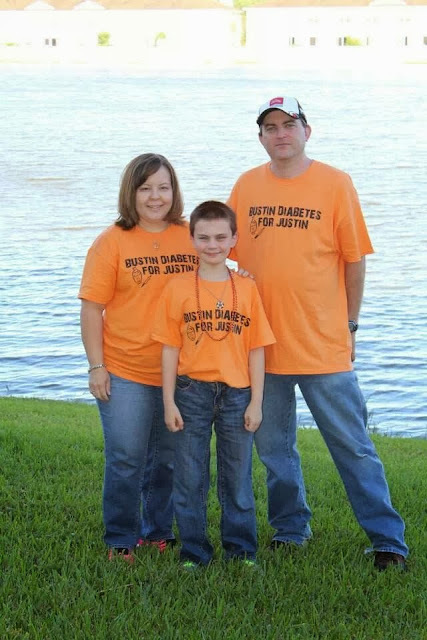 This weekend was our JDRF Walk to cure diabetes!! It was a great success! I was so happy that his Grandma & Grandpa came down to walk with us! We know its a long way and truly appreciate it! We had support from staff at Justins school and friends and family! The ladies from his school made shirts with Justin and the other kid from his school that has T1. I think that is just AWESOME!!! 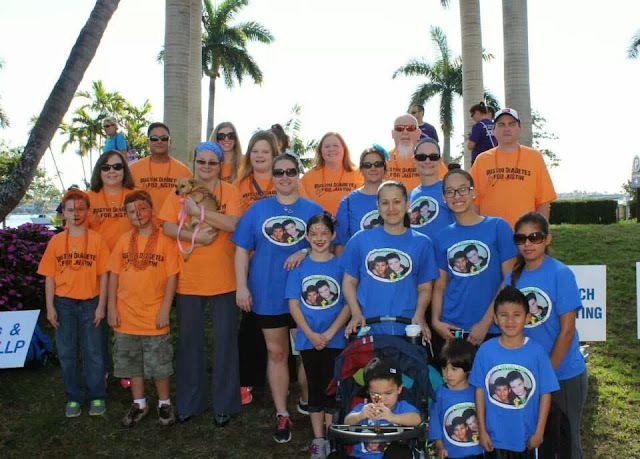 It was a fun time, I love the support at the walk. Besides that things have just been going. Justin is still in good spirits and no more break downs.......although I know it wil happen again.